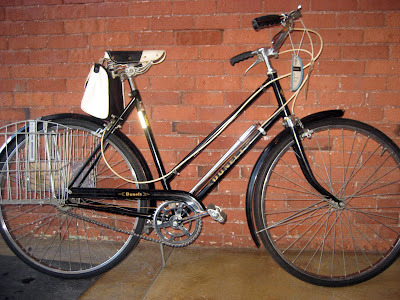 If you're looking to ride the Lake Pepin 3-Speed Tour next weekend, we've got the bike(s) for you. His n' Hers matching Dunelts from 1962, a sweet Phillips mixte, and an even cooler vintage Raleigh with full-wrap chain guard. There's also a sick Raleigh LTD-3. 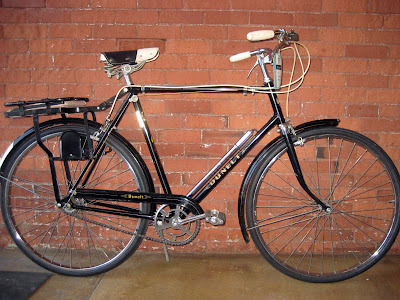 These bikes are made for style not speed, elegance not exertion. They're just damn cool and fun to ride. 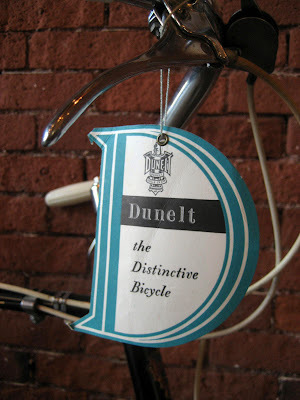 -EDIT-the Dunelts, as well as the vintage Raleigh, have been sold. The Raleigh LTD-3, & the Phillips are still available. For all you 29'er fans, do drop in to check out the beautiful segmented fork from Christopher Igleheart, the man responsible for the vaunted Fat City Cycles fork from back in the day.